Many Ray City, GA residents felt that a home town newspaper was an essential element in the growth of the town. 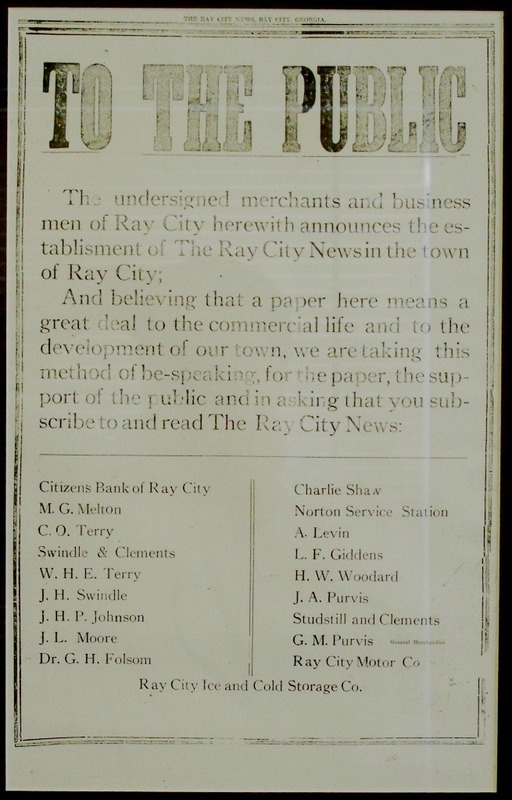 When the Ray City News began printing the local news, the local businessmen and merchants placed a full page advertisement showing their support. Ray City Ice and Cold Storage Co.